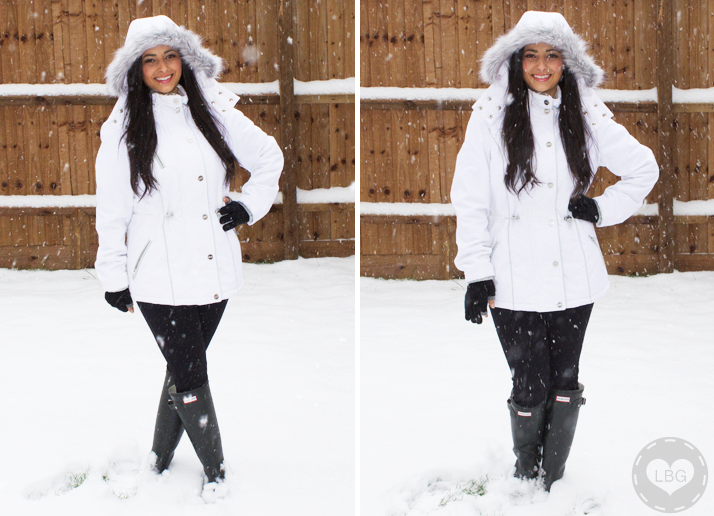 Outfit: It's a Snow Day! 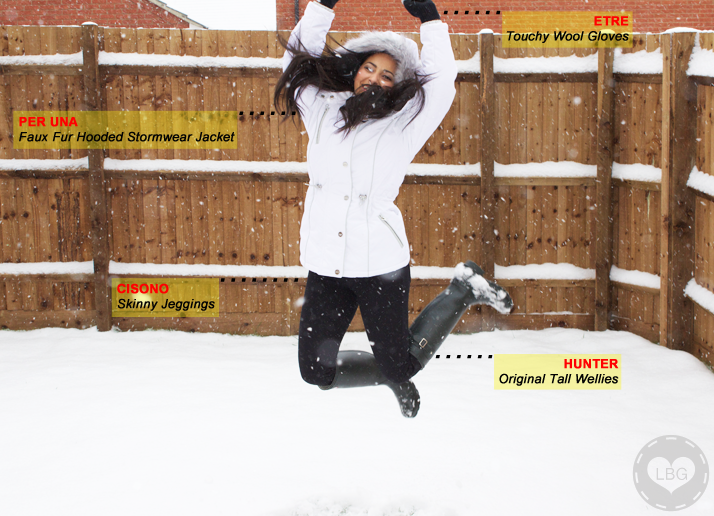 Outfit: It’s a Snow Day! Yesterday was officially a Snow Day for most of the UK, which only means one thing: it’s time to get the wellies out, hooray! :) So I put my snow gear on and went for a walk in the snow with the fiancé; we were also told to stock up on a few essentials, you know, just in case, so we walked to our local Tesco thoroughly enjoying our Snow Day. You can’t enjoy a day out in the snow if you’re not warm inside, so I had on my brand new Stormwear jacket (HERE), which keeps me super warm and dry; I like that it’s long enough to cover my bottom, but not too long that my tiny self disappears under it. I also love the furry hood, which is detachable and the fastening clips make it less baggy around the waist. Last but not least I have on my Etre Touchy Wool gloves (HERE), which is perfect for a Snow Day; the missing thumb and index fingertips allow me to keep my hands warm, whilst still being able to use my phone to snap lots of fun pics! Do those Hunter boots keep you super warm? I want a pair but it gets downright frigid.